Chandler’s Tree and Crane Service is a locally owned and operated, licensed and insured full service tree company serving the Greater Hammond area for over a decade. 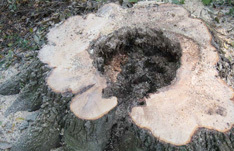 We offer free no obligation estimates for tree trimming, tree removals, stump grinding and related services. 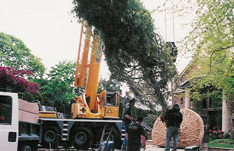 When necessary, we can remove a tree efficiently and safely, no matter the size, or location. We will take care of all your tree service needs in an efficient and friendly manner. Our tree specialists save our customers time and money with competitive pricing and the fastest turn around times in the local area and our experienced crews guarantee clean, prompt service. Chandler’s Tree and Crane Service owns all of the necessary equipment to handle any size job in a professional and timely manner. 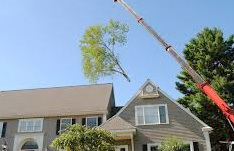 We work as fast as possible and can handle all of your tree service needs. We service Residential, Commercial, and Industrial Customers, Apartment Complexes, Mobile Parks, Municipalities and Townships to name just a few. We offer a wealth of experience and expertise for complete maintenance of all your trees at competitive rates and we have many happy customers that attest to our great customer service, pricing and quality of work. 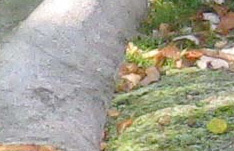 Stump grinding removes all remnants of tree stumps from your property, increasing your curb appeal and making your property safer; especially when a stump can be a tripping hazard or contain diseases that can affect the health of other trees. We have the equipment to handle stumps of all sizes and quantities. Contact us today for a free quote. Whether you need storm damage clean up of broken branches or removal of one or more trees, Chandler’s Tree and Crane Service can help. Call us to improve your views and keep your property tidy and safe!